So December is here and it's almost the end of another year. Has it been a good one for you not just in health and fitness but life generally? Did you do everything you set out to do? If not why not? Did you have setbacks that threw you off course and you then struggled to get back on it? Was it lack of motivation, support or knowledge of what to do to achieve what you wanted to achieve? Or did you grab every opportunity you were given to help get you to where or who you want to be? For me personally I have worked hard to be consistent in all areas from my own training, spending time with my family and delivering quality training sessions for all my bootcamp and PT clients. What motivates me? Spontaneous feedback from clients saying how much I have helped them, noticing speed and strength gains in my own performance and most importantly being a good role model to my children. Sometimes just connecting to our "WHY" is enough to keep driving us forward even when times are tough. So when looking to 2019 yes think about what you would like to achieve but also think about WHY you want those results and it might just give you that motivation to get to where you want to be this time next year. November was a little quieter on the event front with just the Remberance 10K run in the bag for a couple of our bootcampers. On Saturday just gone, 4 of us tackled the Hampshire XT in Southampton. This was a multidiscipline event where we had to race against the time to complete a variety of exercises as quickly as possible. 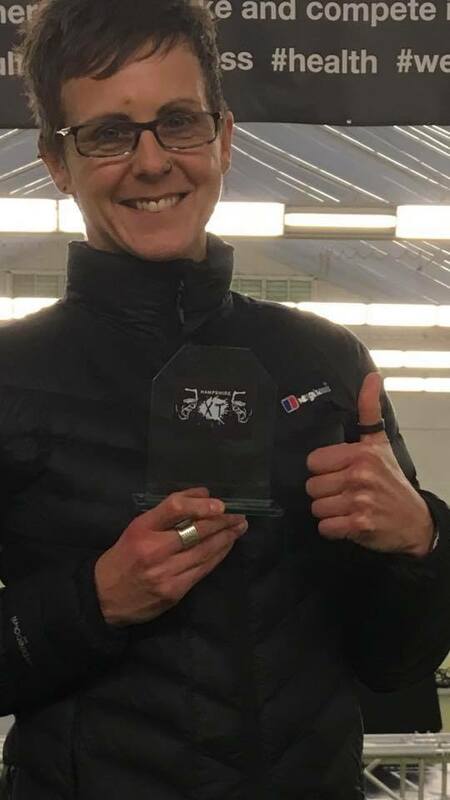 Well done to our Portchester instructor Louise who came first in her category and 2nd overall in the female novice category. Next weekend some of us are looking forward to donning our santa suits and taking part in the Christmas Cracker challenge down at Southsea. Sorry no festive recipe this month. Let's be honest, how many of us actually have time to bake over the Christmas season? Instead I thought I would give you a recipe which I tried out last week that went down well with the family (it went so quick I didn't get time to take a photo so have used the one from the BBC Good Food website). It's the perfect meal for that time between Christmas and New Year when you are sick of turkey and rich food. This serves 2 so just adjust the quantities as needed. 1. In a food processor blitz the cinnamon, paprika, pepper, 1 garlic clove, oregano and pitta. Add this mixture to the mince and egg. Season well and then make into 8 meatballs using your hands to shape. Place on a prepared baking sheet and put in the oven for 20 minutes on Gas 5/ 190C. 2. Cook the parsnips and then drain and mash with seasoning. 3. Add the left over garlic and paprika to the passata and heat through until it thickens slightly. Add the meatballs and stir through. 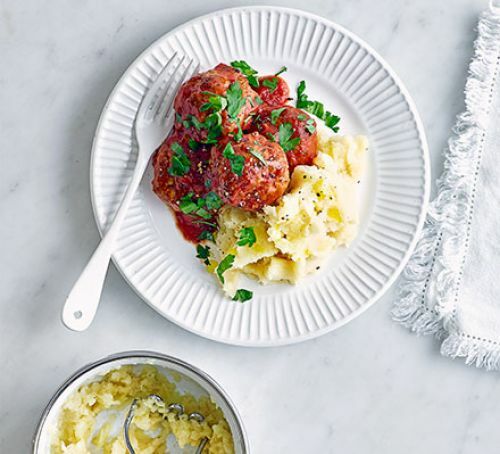 Serve the meatballs on top of the parsnip mash and sprinkle with the parsley to finish. 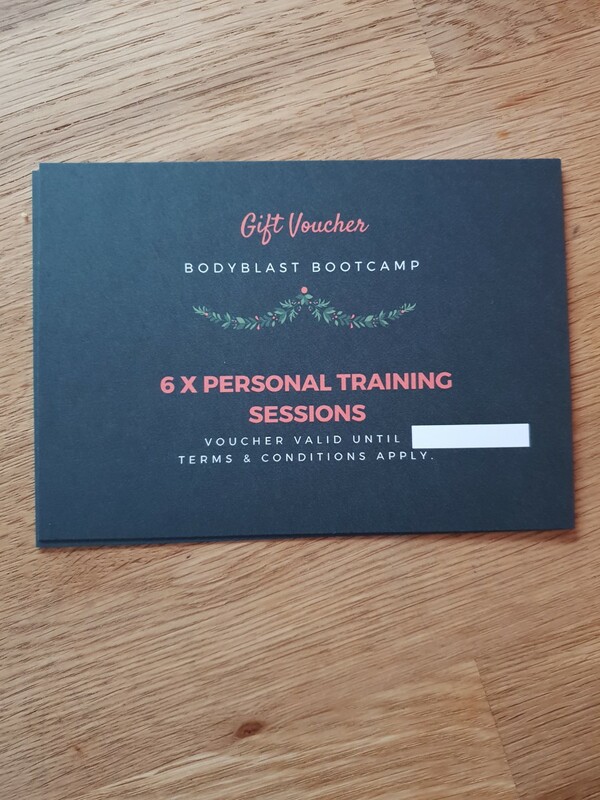 This year instead of buying your loved one something they don't need why not give them the chance to improve their health and wellbeing with 6 personal training sessions? Alternatively if you want to kick start your fitness in 2019 then why not add it to your wish list and receive a present that you actually want this Christmas. I have 5 gift vouchers available for purchase at only £120. Hurry though as this offer expires on 14th December after which the price rises to £149. Did you know....According to the British Dietetic Association, the average person consumes approximately 6,000 calories on Christmas Day. This is almost 3 times as much as we would consume on any other given day. This month, one of our long standing members, Annette Thorn features in our member spotlight. Annette has been coming to bootcamp since the very first Bodyblast Bootcamp session. 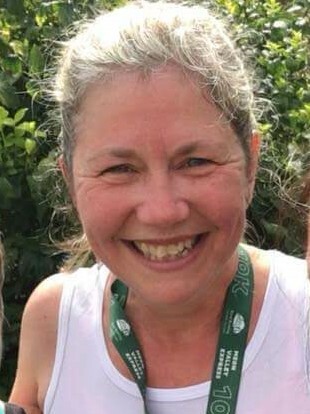 Not only is she a bootcamp participant but as a running coach she has led Runcamp sessions helping to improve participants speed and stamina. 1. How long have you been attending Bootcamp?I’m one of the original bootcampers, I started on the second bootcamp session held over 10 years ago, I can say I honestly don‘t know where the time has gone! 2. What's your favourite exercise or piece of equipment to work with? Any exercise to do with legs and running! 3. What's your least favourite? Lung busters, all that getting up and down! 4. Do you prefer summer or winter bootcamps and why? Definitely winter, you push yourself to go out in the cold and you come home feeling warm, great and rosie cheeked! 5. What motivates you to come to sessions? Motivation, not just from instructors but other bootcampers! Also the friendships made over the years! 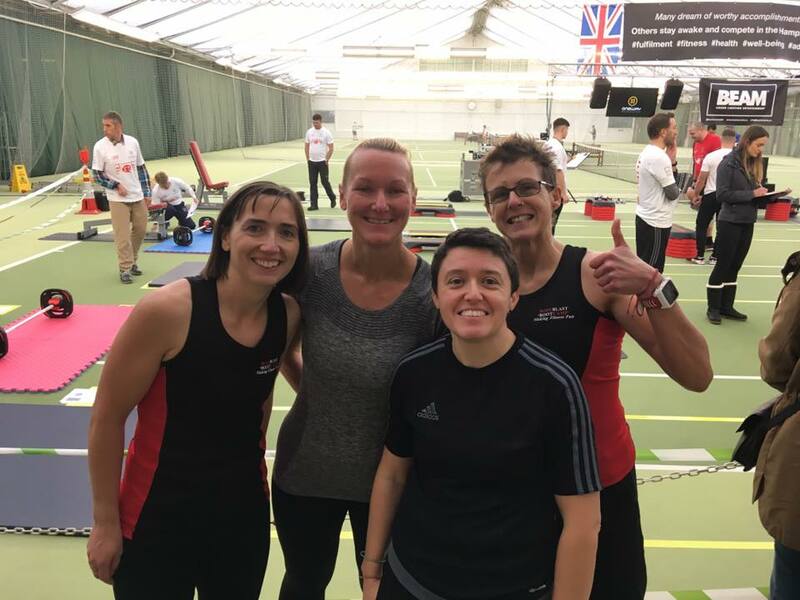 Bring a friend for a free taster session from now until 21st December and be entered into a prize draw to win a free PT session or bootcamp sessions. To help spread the word I have some flyers ready for distribution to friends, family and colleagues. Please ask for some if you haven't already. Remember the more people you refer, the greater your chance in the prize draw! 6. What is the biggest change you have noticed in yourself since coming to Bootcamp? Overall fitness and confidence! Confident enough to achieve 10k’s, half marathons, and two marathons and following this gaining my UKA coach licence then helping with Run Camp for 3 years! 7. What advice/words of wisdom would you give to somebody new to our classes? Attend a session, give it ago, until you try it you don’t know what it is really like, doesn’t matter what fitness level you are, we all have fun while getting fit! 8. Just for fun - if you were a fruit what would you be and why? I’ve decided a banana full of energy!! Please note that Metafit will end our year of sessions on Friday 21st December. We will re-open on Monday 7th January with our first bootcamp of the year down at Privett Park, Gosport. If you are a Bodyblast Bootcamp member and on our private Facebook group then I will be posting some live 20 minute workouts over the holiday period to keep your fitness ticking over and to help burn off some of those extra calories that have been consumed. So keep an eye out for days and times. I would like to take this opportunity to say a massive THANK YOU to all my clients who have worked with me over the past year especially to those who stayed loyal to Bodyblast Bootcamp after the changeover in April and to the new members who have joined since then and continued to train with us. You are all such a fantastic group of people that make being out in the cold and wet worthwhile! Signing up to an event is a great way to keep motivated and is even more fun when done with others. There are still a few left to do this year but already bootcampers are booking themselves in for events happening next year. If you want to join them then sign up using the links below or if you have one to add to the list drop me an email and let me know. You don't have to be the fittest or strongest to take part in an event, it's all about maybe just stepping out of your comfort zone and having a go. Don't forget your bootcampers and myself are always there to support you both before and during the event itself. MUMCAMP 9:30am WEDNESDAY St Columba Church Hall, Fareham 9:30am. A 45 minute session similar to Bootcamp but where you can bring your baby or toddler with you so no need to worry about childcare. That's all for this month and this year. 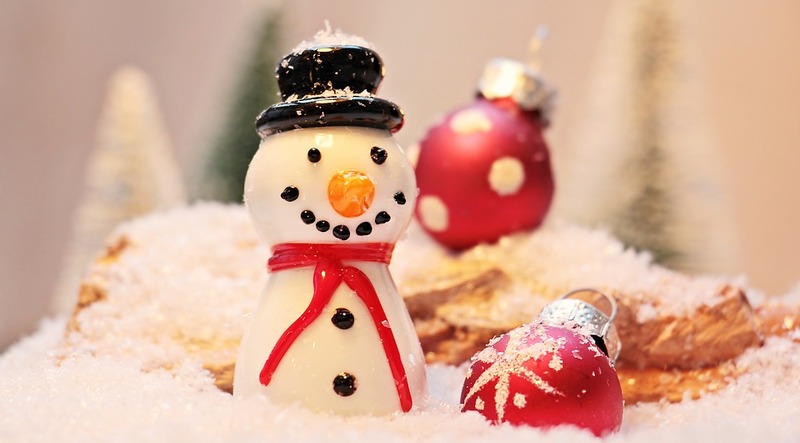 Wishing you all a very Happy and Healthy Christmas and I look forward to seeing many of you in the New Year.